Volunteering brings fulfillment in your life and can help you land your next job. How can you get professionally active if there aren’t any promising new job openings around you? If you’re one of the millions of unemployed in the world, or if you’re returning to the workforce after an extended absence, your volunteer experience can be the one important thing that sets you apart from the competition and help you land your next job. In fact in this competitive job market, prospective employers want to see what makes you different from all the other candidates, and volunteering is a great way of standing out from the crowd. By demonstrating that you take part in meaningful activities in your spare time, you will show an employer that you are a well-rounded person with some interesting life experience. In this scenario it’s not a surprise that a few years ago LinkedIn added a field for members to list their volunteer work in their profiles, after a survey found that 41 percent of employers said they considered volunteer work as important as paid work, and that 20 percent said they had made a hiring decision based on volunteer work. Volunteering will help you to enhance skills you already possess or probably to acquire new ones. Skills gained from volunteering are valuable and will be applicable in any industry. These qualities will make you an outstanding candidate and may help you to climb the ladder. Infact when employers are recruiting new staff they want to understand if you can manage your time, complete your tasks, get along with others and make a commitment. Your volunteer record can show an employer that you have the attitudes and skills they are looking for in a potential employee. You will acquire strong leadership skills. Volunteers usually tackle some organizational issues, assign responsibilities and maintain an effective workflow. It’s important to know how to organize people, so these skills will be crucial for some professions. Volunteering is all about collaboration and teamwork. It is a constant interaction with people, so you will become a great team player. You will have successfully work with other volunteers. Who knows, maybe you will motivate others and help them if they need it. Volunteering implies performing a wide range of various tasks along with communicating with people. And it’s natural that some challenging situations may occur. You will learn how to cope with it in a successful way. You will definitely improve your communication skills through constant liaison with colleagues, children and people with disabilities. Volunteering teaches you how not to be afraid of taking initiatives. The ability to come up with new fresh ideas and to take on responsibility will be paramount in any job. You will have an opportunity to discover your skills that you were unaware of before. You will see your strengths and learn more about yourself. It is also a nice opportunity to reveal your potential. Understanding that things you do matter will be your motivation to keep this up. If you have been unemployed, you can start feeling discouraged. If you struggle with finding a job, volunteering boosts your confidence. It lifts your spirits, makes you feel active, productive and useful for people. Volunteering is a great way to try new activities. 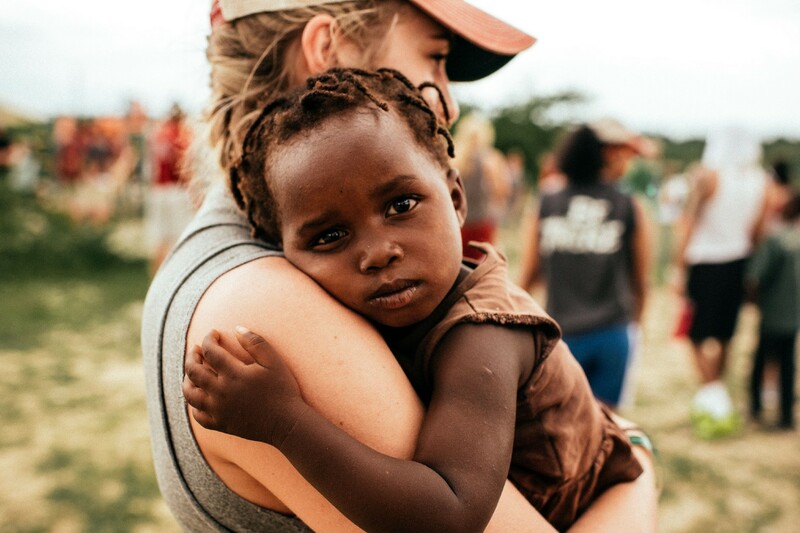 A positive volunteer experience could uncover interests or passions you never knew you had. If you spend time helping out at a hospital, for example, you may discover a passion for caregiving or an interest in the healthcare field. This could lead to you to pursue a more meaningful career path. This type of self-discovery can be significant if you’re not sure what you want to do professionally, or if you feel stifled or disconnected at work. Discovering a new passion doesn’t necessarily mean you need to switch career paths, however, it may simply help you realize what you enjoy doing or where you excel, and you can apply this knowledge to your current job or role. List on your résumé and LinkedIn profile the specific volunteer works and the dates you worked. Include it in the LinkedIn’s work experience section and in the summary section at the top of your profile where you write about what motivates you about the work you do. You might also opt to weave that experience into your job chronology on your profile and on your résumé. If you were between jobs and volunteering a significant amount of hours, it fills in gaps in your employment history. Don’t use the word “volunteer” in the title. List it as “fundraiser” or “project manager,” or whatever your role was, or is. Mention in the actual job description that it was a pro bono project. This highlights your selflessness, but by defining it as a professional job, you give it the status and respect it deserves. Hiring managers value candidates who engage in volunteer opportunities. If you are committing to volunteer work you are proving your worth to the community. It demonstrates that you have the desire to improve society, you want to understand the needs of others, and you’re passionate about building relationships. Employers are always looking for applicants who are lifelong learners and productive citizens to mold and shape into tomorrow’s leaders. It’s not like the networking done on LinkedIn or at a formal networking event, infact it’s not forced and unconfortable. You can have the chance for genuine, engaging conversations with people who share your interests and create meaningful connections with them. So, get to know as many people at the company as possible. Even when you finish your volunteer work, take care of these contacts, they may help you someday to achieve your professional goals. When you volunteer, you’re improving your community or making a difference in people’s lives. This can build your confidence and give you a greater sense of purpose, which resonates in both your personal and professional life. So, this experience give you a few different talking points to answer some of the common job interview questions. Not only you can provide details on your various skills, but you can also share how you applied them in a real world while giving great benefits to your community. Investing time and energy to volunteering allows you to find out more information about what exactly you’re looking for in your career. Do you like working on your own, or as part of a Team? Do you prefer to be in charge of the coordination or amministrative tasks, or do you enjoy doing manual works? It’s an effective way to discover other important aspects about how you function. And what you learn about you will be extremely useful when determining your next career move. Yes there is also this opportunity. If you love the organization for which you are volunteering, and you would like to work there in the future, let your managers know your intention. If they know your passion and interest they will keep this in mind when there are openings within the company. But to realize that you need to work hard. So, be always humble, passionate, professional and patient. And don’t forget to take on responsabilities. Look for ways to increase your value at the organization. And when someone needs help with a task, offer your assistance, especially if the task is in a field in which you would like to work. Be proactive and do not be afraid to fill leadership roles to make yourself indispensable to the company.